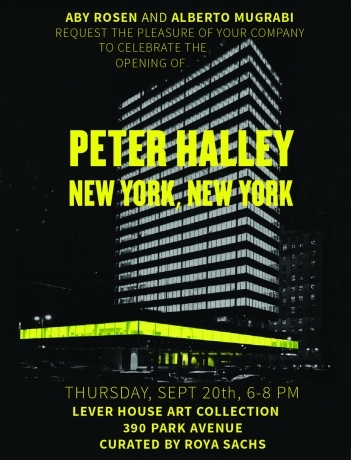 Peter Halley is an American artist who came to prominence as a central figure in the Neo-Conceptualist movement of the 1980’s. 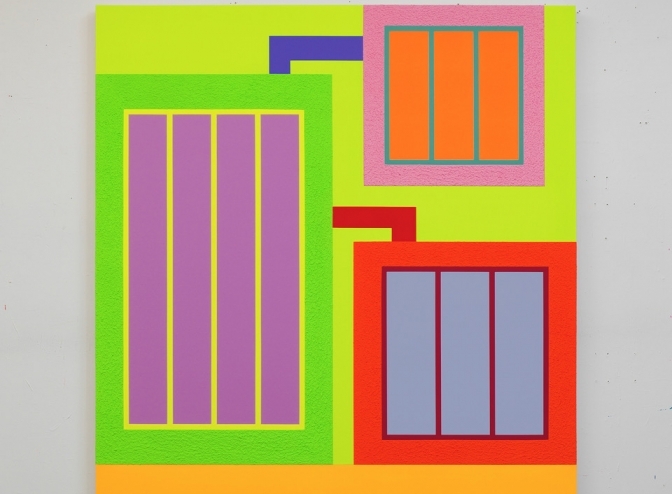 Beginning in the early 1980s, Peter Halley has employed the language of geometric abstraction in paintings that explore the organization of social space in the digital age. 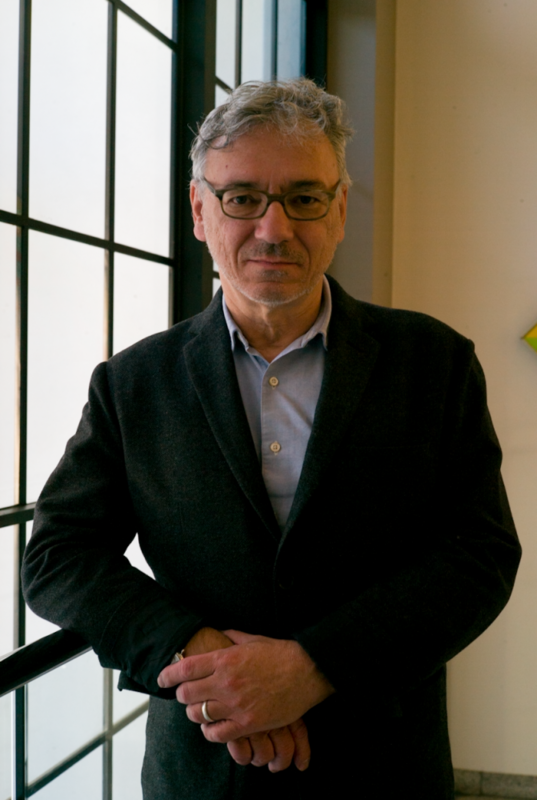 In recent decades, his work has branched out to encompass architectural-scale installations that include paintings, algorithmic flowcharts, digital prints, and other diverse media. In an era increasingly dominated by digital technology and social media, Halley’s influence—as artist, writer, magazine publisher and university professor—has been widely recognized. Halley’s work has been exhibited extensively around the world. 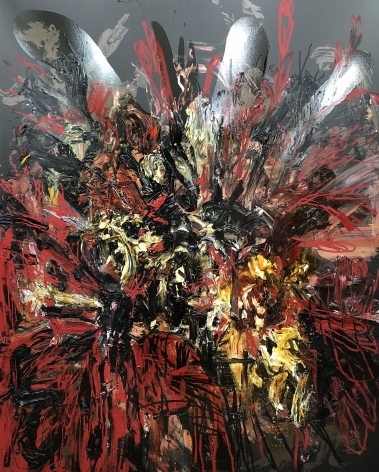 He has held solo exhibitions recently at the Lever House Art Collection, New York, (2018) the Schrin Kunsthalle, Frankfurt (2016), the Santa Barbara Museum of Art, California (2015) and the Musée d’Art Moderne et Contemporain, Saint-Étienne, France (2014). Halley’s works can be found in numerous public collections, including the Tate Modern, London, England, the Stedelijk Museum, Amsterdam, Holland, the Museum of Modern Art, New York, USA, the Whitney Museum of American Art, New York, USA, the Seoul Museum of Art, Seoul, South Korea, the CAPC Musée d’Art Contemporain, Bordeaux, France, among others. 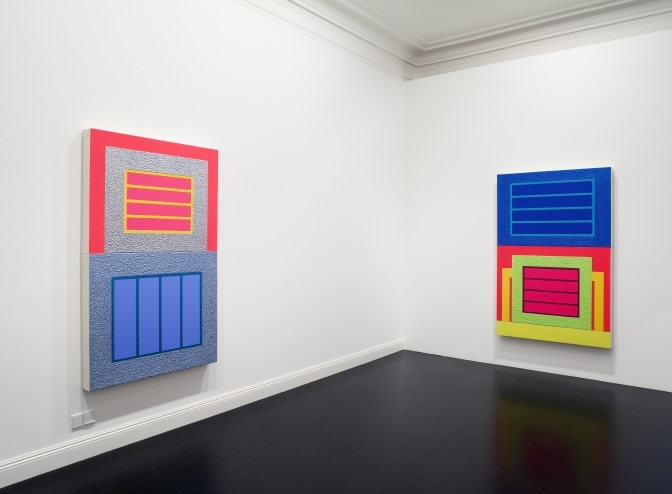 Galerie Forsblom has been representing Peter Halley since 2006. 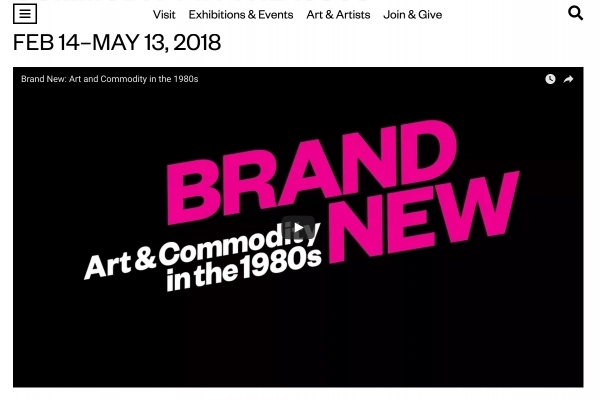 Brand New: Art and Commodity in the 1980's, curated by Gianni Jetzer, is an expansive exhibition that presents a fresh and focused history of the decade, bringing rarely displayed works together for the first time since the ’80s. 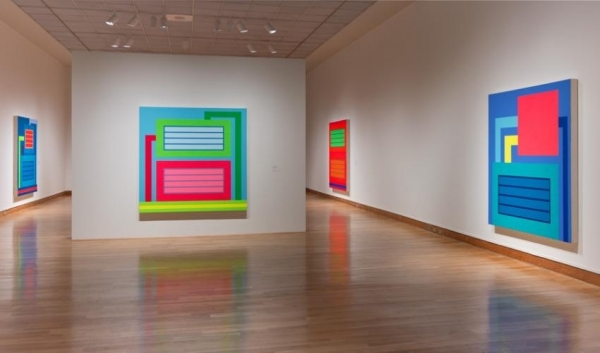 Peter Halley is currently on exhibition at Santa Barbara Museum of Art. 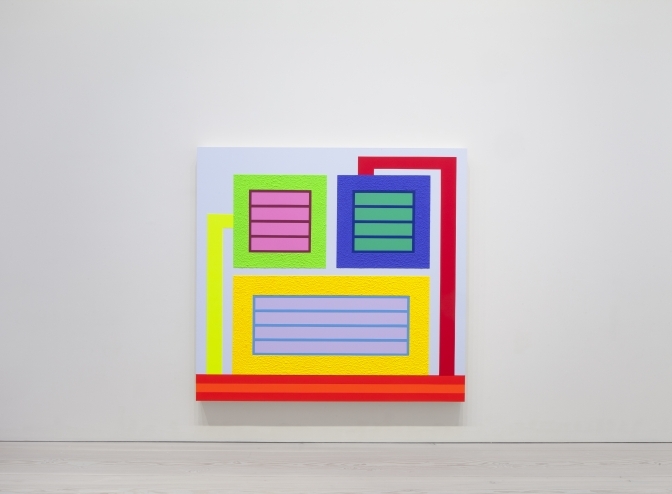 Geometry of the Absurd: Recent Paintings by Peter Halley features works from 2007–2015. Halley's practice as an artist is usually associated with minimalism, neo-geometric conceptualism. His well-established mode of expression, using geometric abstractions, veils powerful socio-political ideals concerning social structure and the individual's position on the societal totem. Horizontal and vertical lines, rectangles, and squares achieve the form of bars and windows. Halley holds a BA from Yale University (1975) and an MFA from the University of New Orleans (1978). He has taught at Columbia University, UCLA, and the School of Visual Arts. Since 2002, Halley has been the Director of Graduate Studies in Painting and Printmaking at the Yale University School of Art. His works are included in major international collections.